2 What Are Fire Resistant Clothes Made Of? Pine needles are the long thin needle-like leaves of the pine tree. 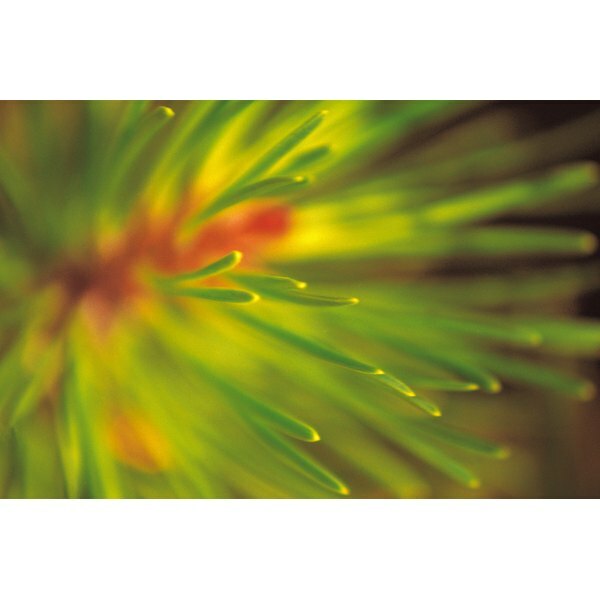 When pine needles are attached to the tree, they are a bright green color. Once they fall to the ground, they turn a rustic brown, much like other tree leaves. Pine needles can be used in a number of decorative fashions, from floral arrangements and woven baskets to various craft projects. In order to make the pine needles last for extended periods of time, they must be properly preserved. Fill the bottom pot of a double boiler with the amount of water recommended by the manufacturer. Place the top pot of the double boiler on top. Set the entire double boiler on the burner of a stove and turn the burner to high. Wait until the water begins to boil and lower the temperature to simmer. 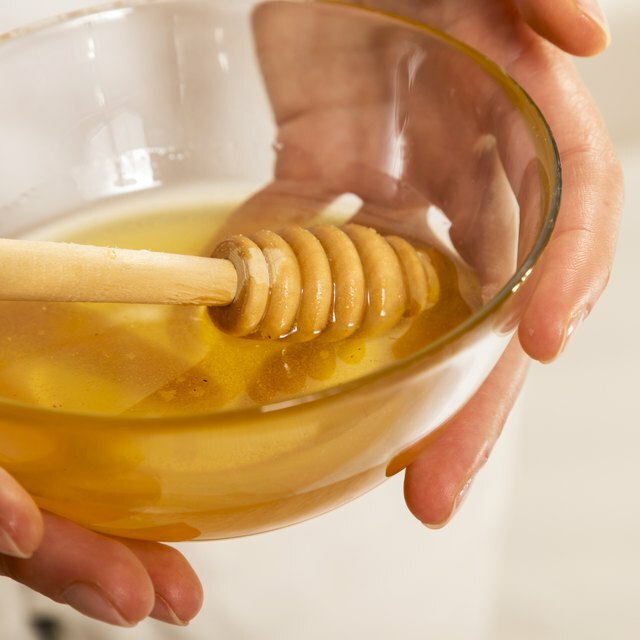 Place one to two cups of the beeswax granules into the top of the double boiler and wait until it melts. Stir the wax occasionally with a spoon to dissolve clumps. Additional beeswax may be needed depending on the number of pine needles you are preserving. Cover a shallow pan or cookie sheet with aluminum foil. Pick up a small number of pine needles using tongs. Dip the pine needles into the beeswax and hold them up for five to ten seconds to let the excess wax drip off. Place the pine needles onto the pan or cookie sheet and arrange them into a single layer using the tongs. Continue dipping the pine needles into the beeswax until all of the needles are covered and placed on the pan. Place the pan into the preheated oven and allow the pine needles to cook for approximately 10 minutes. Time will vary depending on the number of pine needles. The pine needles are done when all of the wax is melted and absorbed into the pine needles. Remove the pine needles from the oven and allow them to air dry until completely cool. Beeswax is available at craft stores and natural food stores. Beeswax is also available in a roll and block forms, but the granules melt faster in the double boiler.